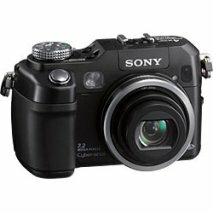 LetsGoDigital: Not one digital camera is perfect, neither is the Sony Cyber-shot DSC-V3. However, in our opinion, Sony had developed an outstanding camera with an excellent photo quality. The innovative technique on board of the DSC-V3 stands on a high level and is not found in competing models. All in all we may conclude that the Sony Cyber-shot DSC-V3 is truly recommendable to those who have high expectations concerning photo quality, color rendition and the versatile applications.